If you have put the wrong fuel in your car, be sure to call one of our qualified local engineers in the Penrith area. 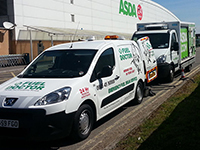 We have Fuel Doctors covering all the local areas in and around Penrith. If you live in any of the following areas we can be with you within the hour and the process can take anything from 15 minutes to 30 mins to get you back on the road again. Trouble at the Rheghed services as this customer puts 70 litres of the Wrong Fuel into their Vauxhall Caddy, Luckily they had realised before it was too late and contacted Fuel Doctor. An Engineer was quickly on route and arrived on scene in no time, draining the Wrong fuel and sending this customer back on his way. If you find yourself in a similar predicament then don't hesitate to contact the Fuel Doctor. Trouble Must Live at the Rheghed services.... This customer puts 40 litres of the Wrong Fuel into their Nissan. After a brief moment of panic, they called us and an Engineer was quickly on route and arrived on scene in no time, draining the Wrong fuel and sending this customer back on his way. Remember not to fret, just give us a call! 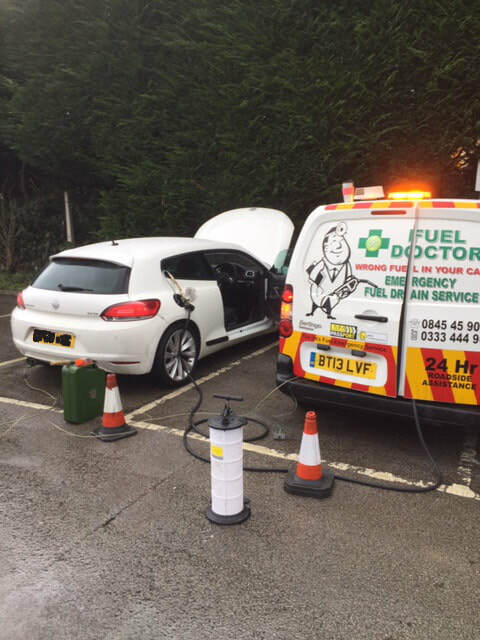 Many people are not sure what to do when they have put the wrong fuel in their car, it is so simple, just make sure you get yourself off to the side of the road and call Fuel Doctor in Penrith. 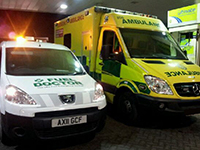 We aim to be with you within in the hour and get you back up and running 20 minutes after that. No matter where you are in the Penrith area, we have a Fuel Doctor near you. We will be with you within the hour and with you for around 15 minutes for the fuel drain. Don't panic, just call us. Everyday roughly 120 people will put the wrong fuel in their car in the Penrith area, whether its diesel in petrol or petrol in diesel. It's a very common mistake and easily done, we understand that you need us there fast and to get back on your feet to get on with you life. 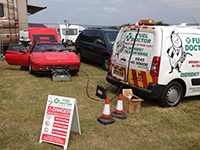 Fuel Doctor are a national company with technicians in Penrith on standby. 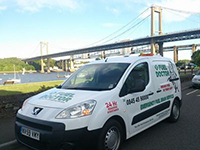 If you have put the wrong fuel in your car you can call us anytime of the day and you will have a dedicated local Fuel Doctor from the Penrith area to get you back up and running. More images from recent wrong fuel recoveries in Penrith and Cumbria areas.